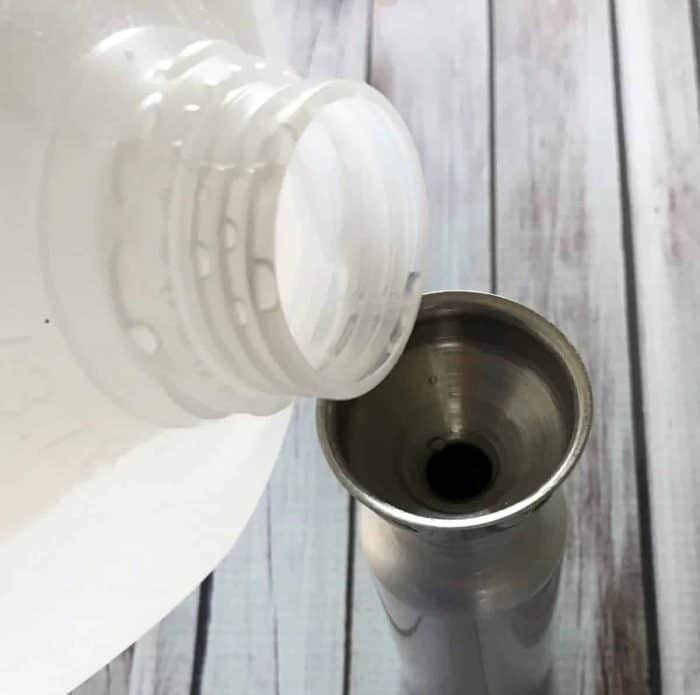 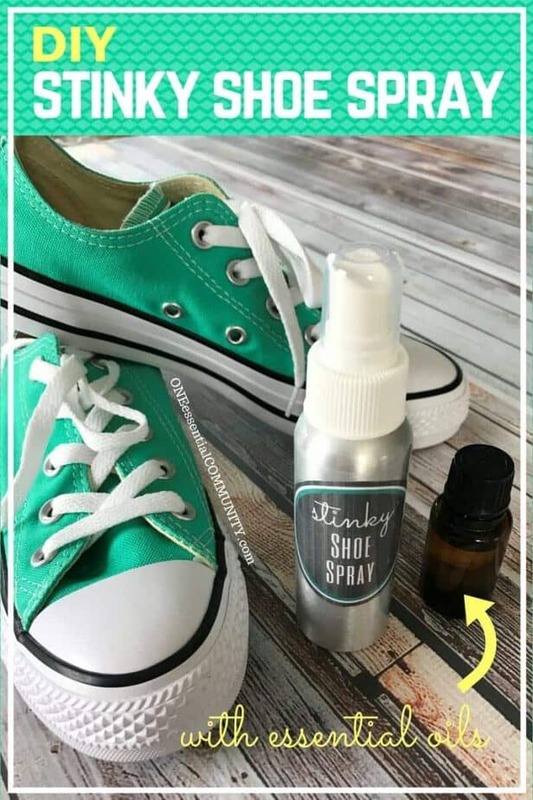 2 ingredients and water is all you need to make this homemade stinky shoe spray. 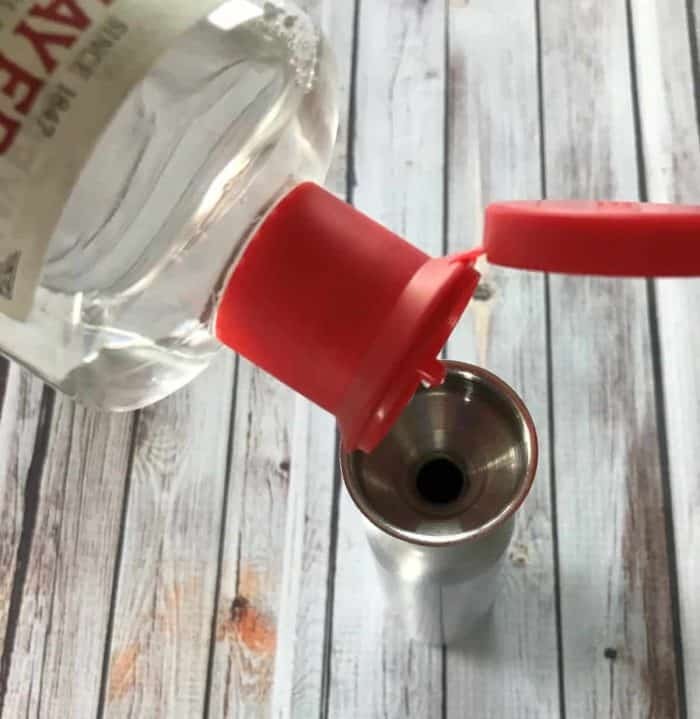 With it being so simple to make, you could think that it might not work that well. 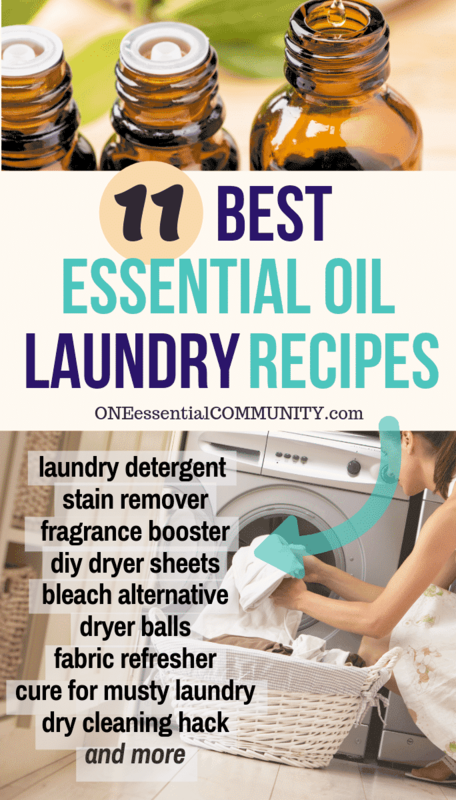 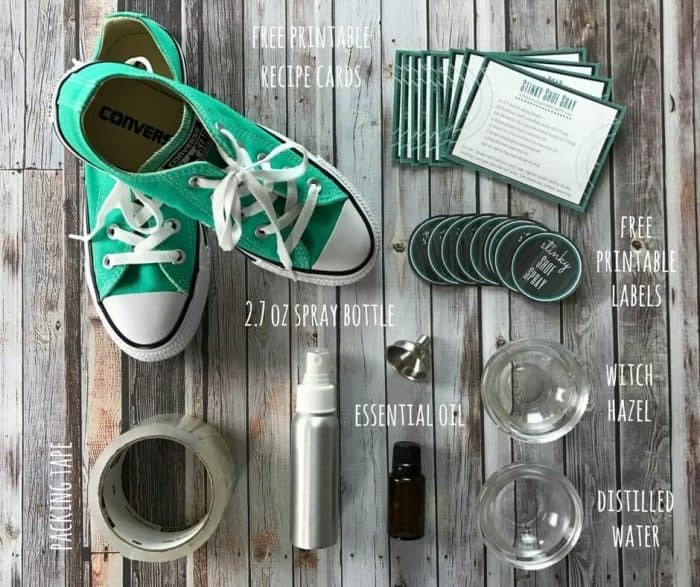 But it works as well (or better) than any store-bought shoe deodorizer that I’ve ever tried! 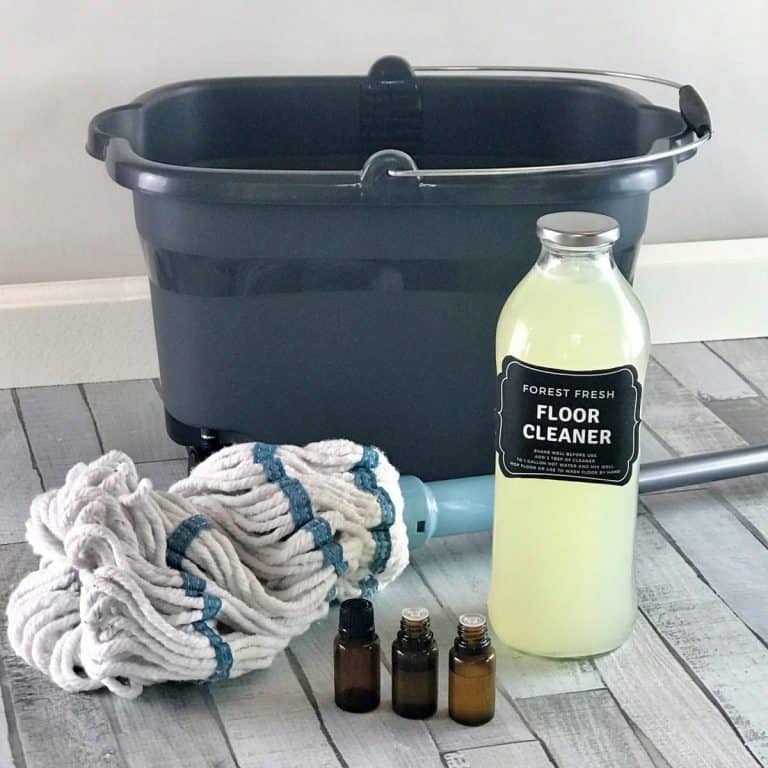 Here’s why it makes even the smelliest shoes smell fresh and clean again — it’s a powerful deodorizer, disinfectant, antibacterial, antimicrobial, and antifungal. 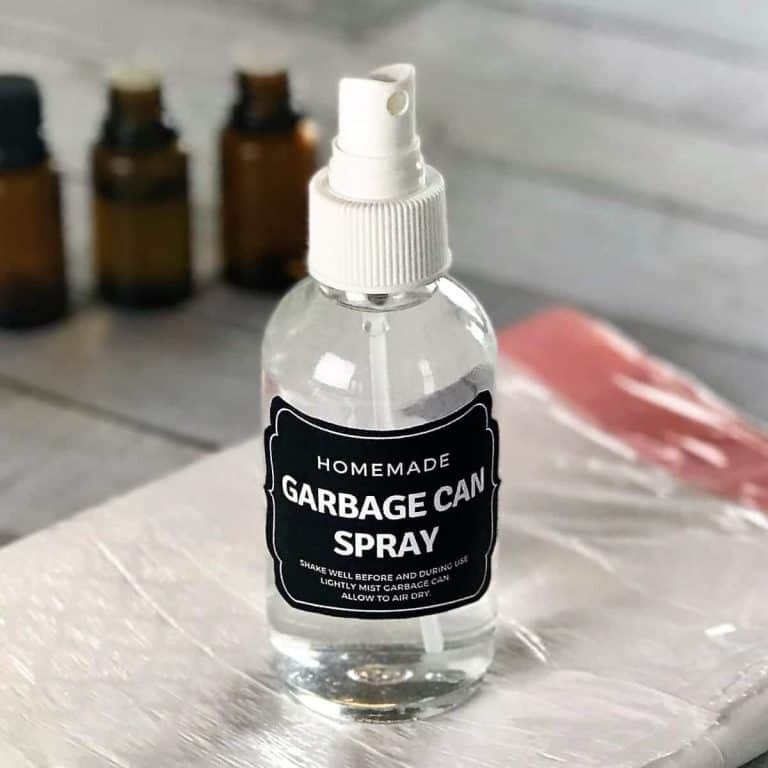 And it couldn’t be easier to use. 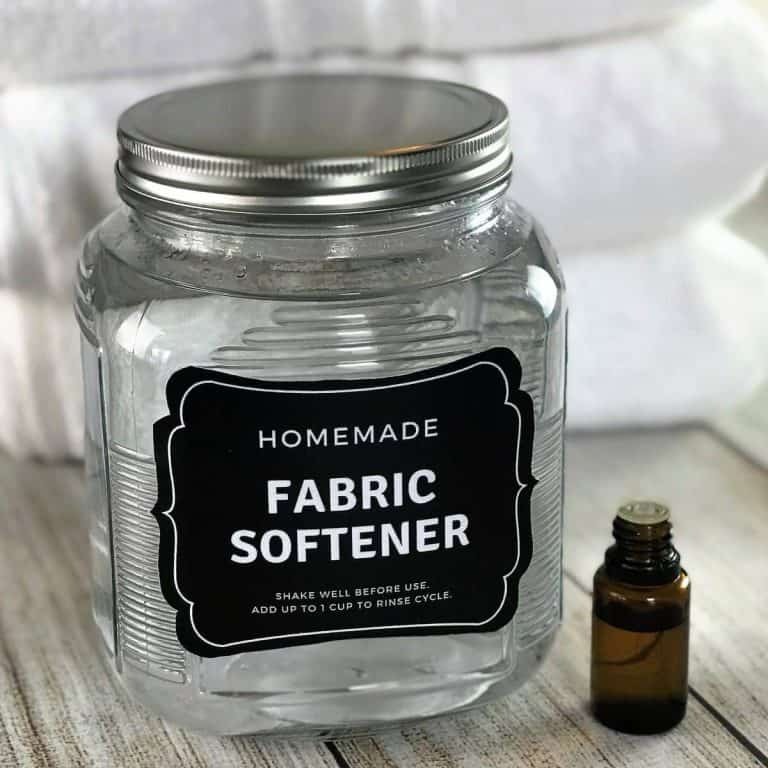 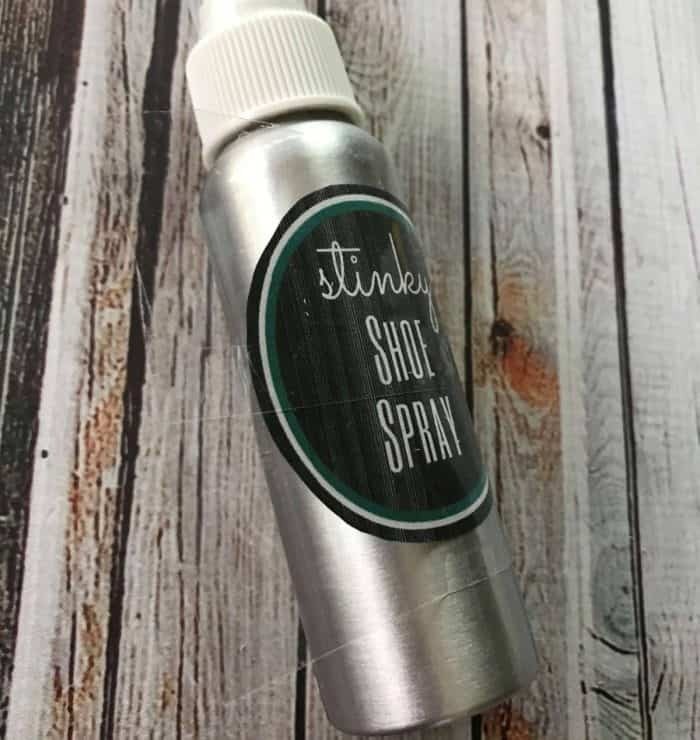 Knock shoe and foot odor out with a couple quick sprays of this all-natural powerhouse. 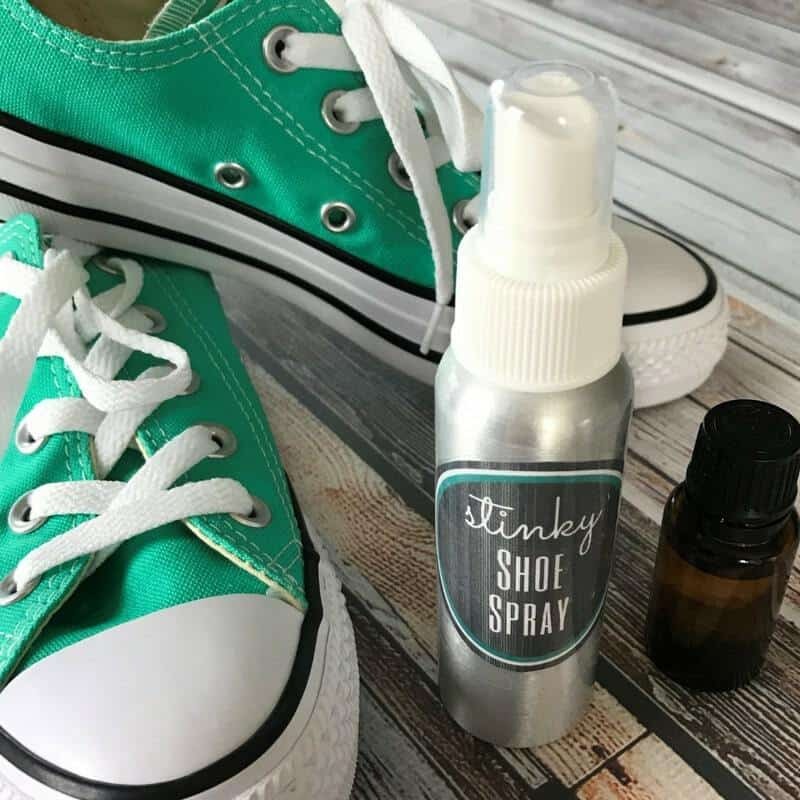 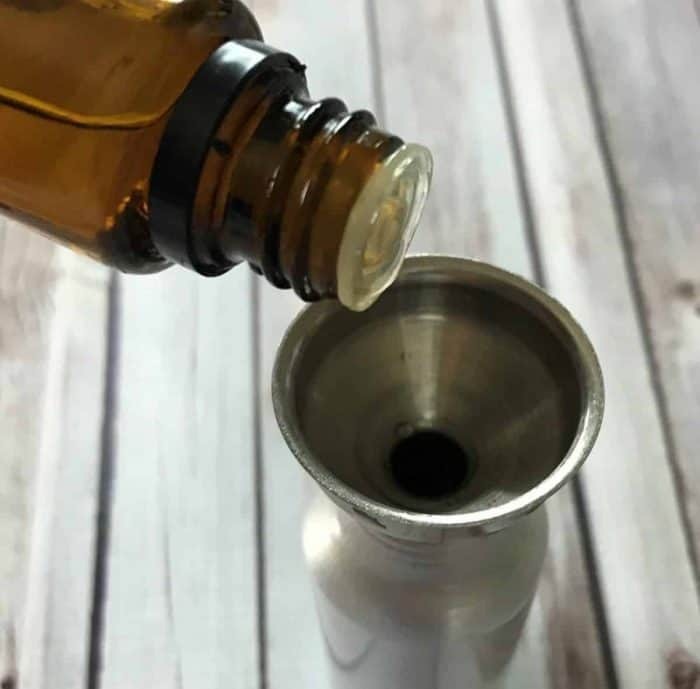 What’s in this homemade stinky shoe spray? 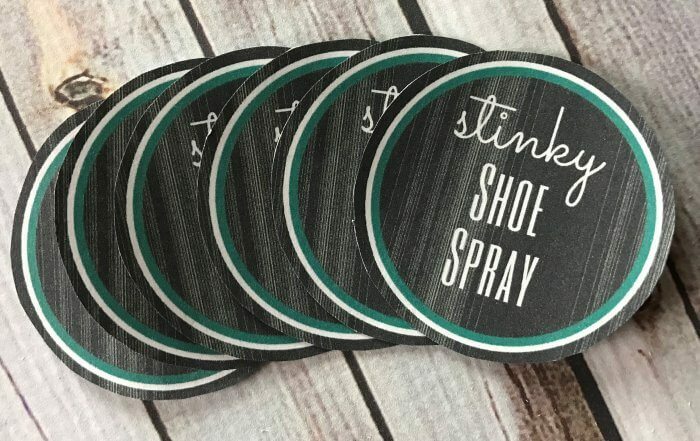 Be sure to click here get your free printable stinky shoe spray labels and recipe cards. 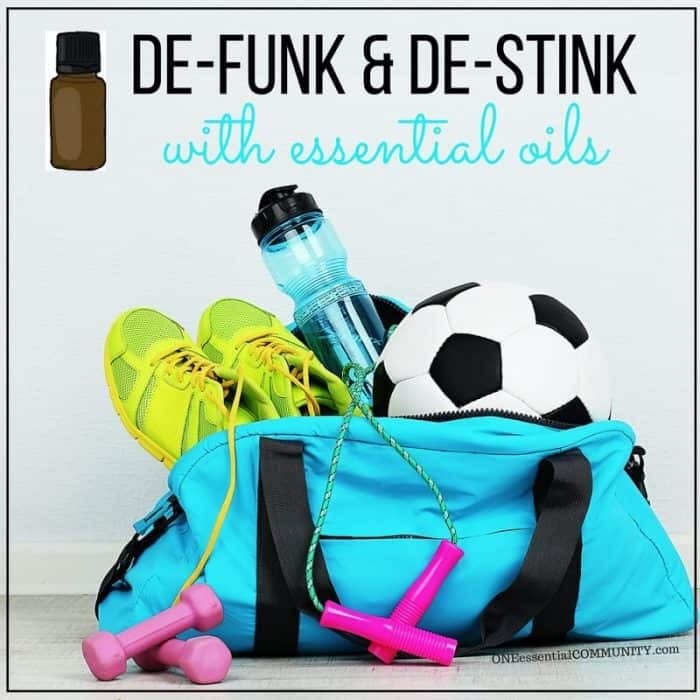 Feel free to use these printables yourself, share them with your team, or use them as handouts for a make & take class. 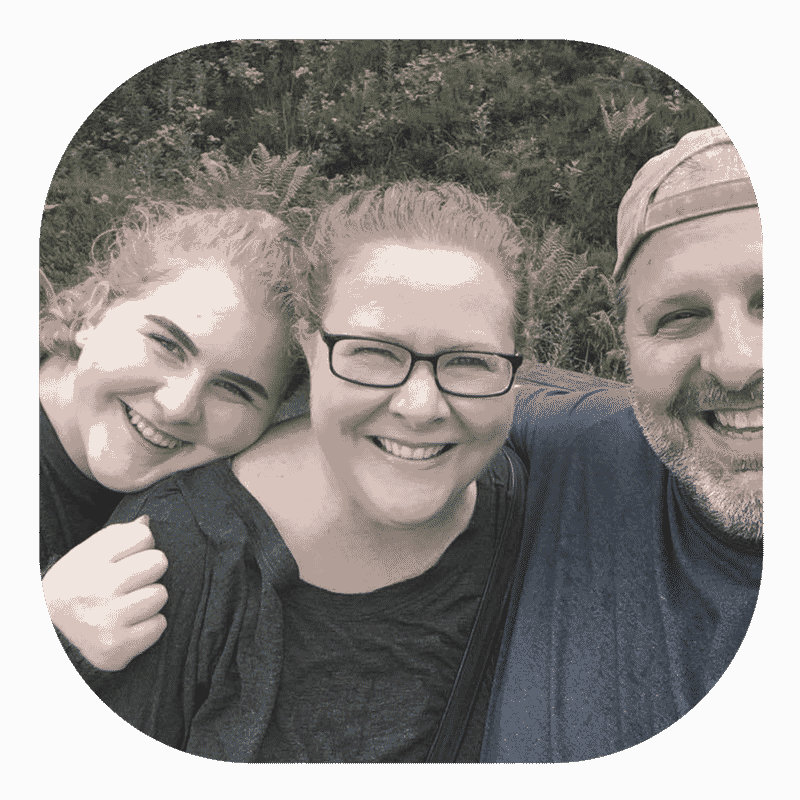 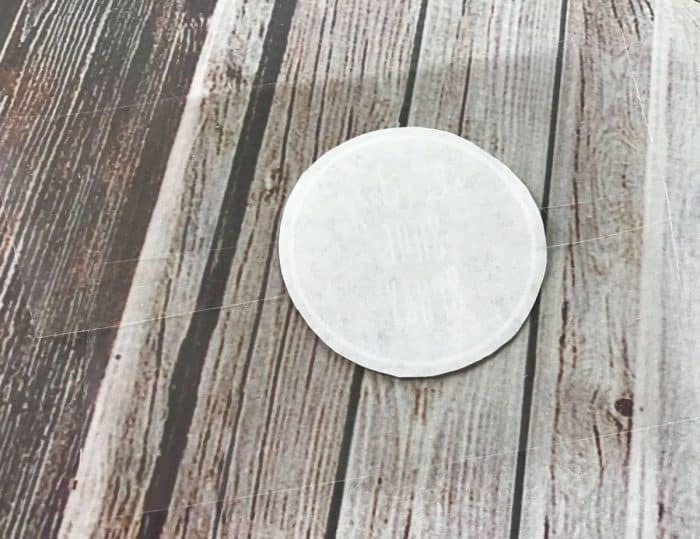 Printable has three pages, so that you can print exactly what you need. 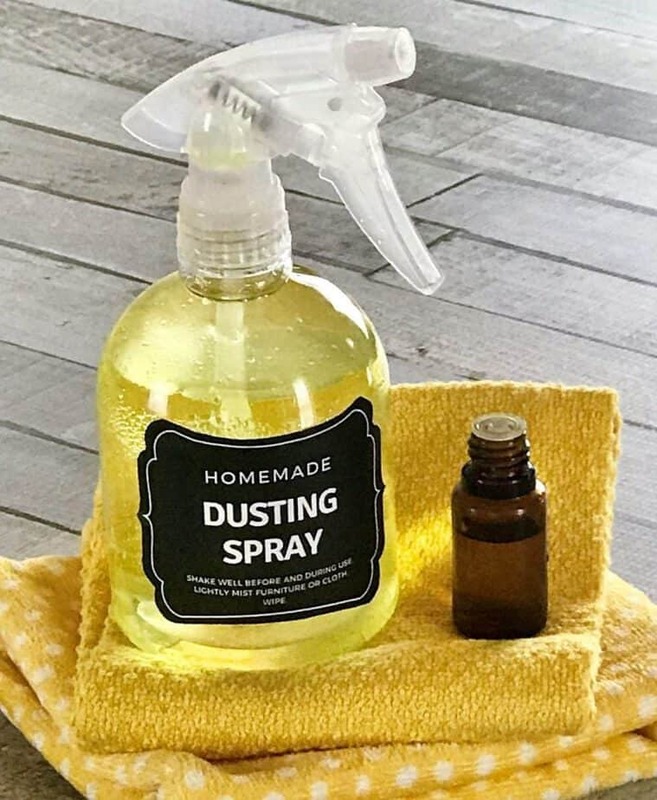 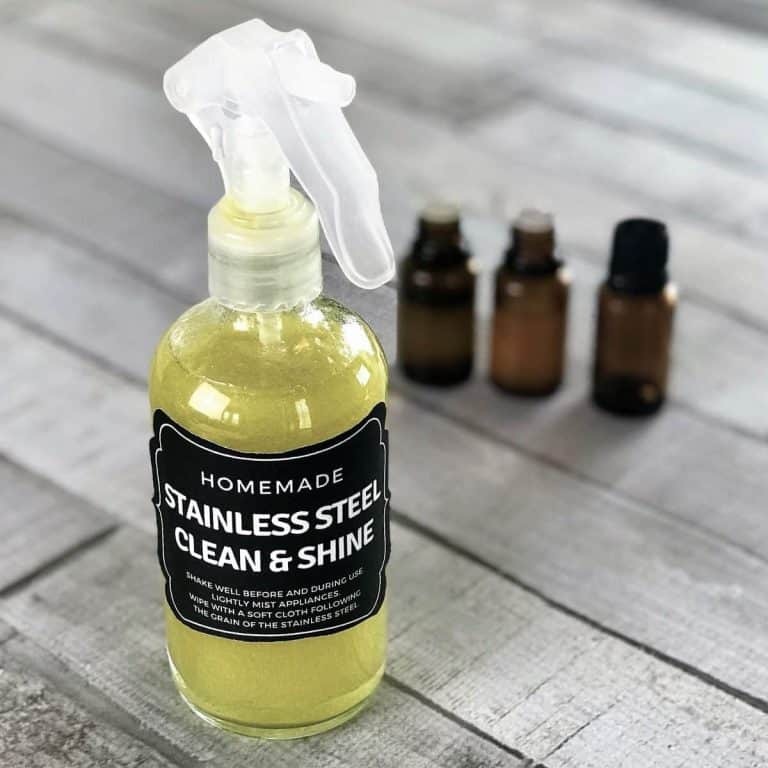 How to Make Shoe Deodorizer Spray? 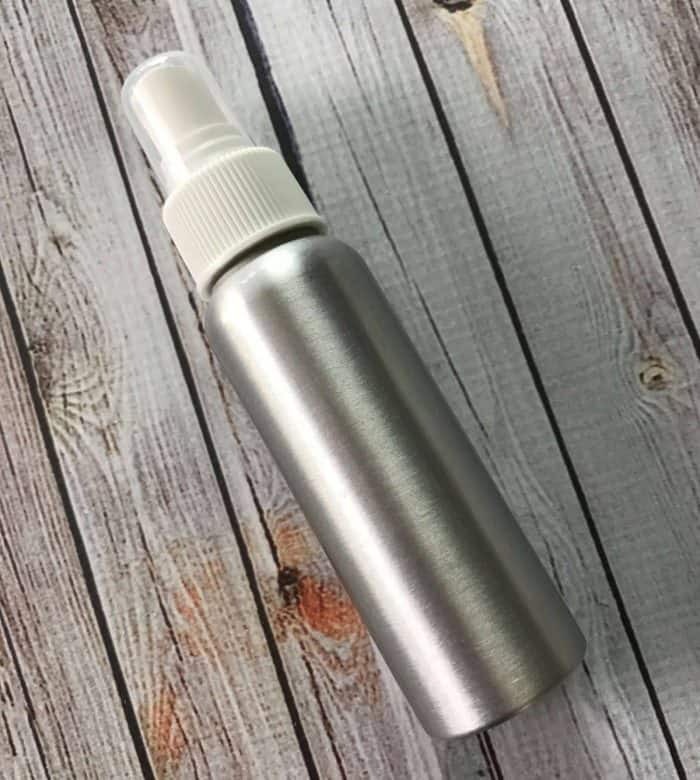 tip: this deodorizing spray is also great for stinky, smelling sports gear – knee pads, shin guards, gym bags, yoga mats, and more.